What Should I Know Before Remodeling My Home for Aging Parents? Home / What Should I Know Before Remodeling My Home for Aging Parents? As your parents begin to age, they may require living assistance or a watchful eye. This could leave you with the question of whether or not they need to move into assisted living or whether or not you should make a place for them in your home. 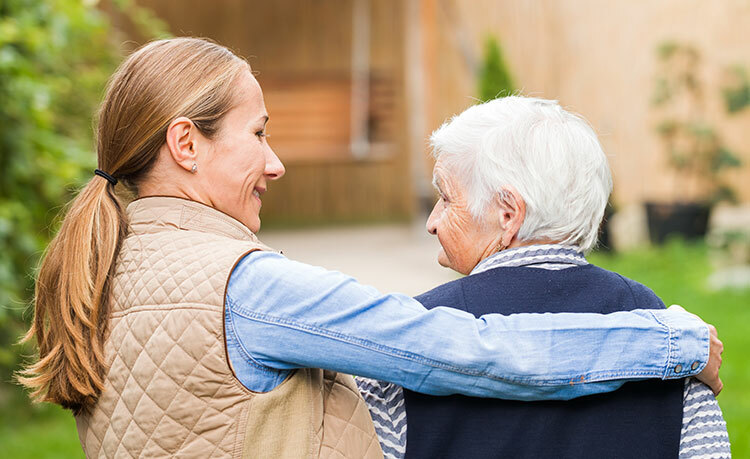 Having your parents close can be a major benefit that gives you peace of mind, knowing you can always be near them and can potentially save them from expensive assisted living costs. So, if this is the decision you’ve come to, it can feel daunting to determine how to proceed. Creating an in-law suite for parents aging in place will likely require a large-scale renovation, so it’s important to think ahead before beginning a remodel. However, the result will be a place that you and your parents are happy with and comfortable in. Before you begin making the adjustments for your new in-law suite, here are some things you should know. Whether it is one or both of your parents moving in, you’ll need to know what current medical needs they have as well as what may arise in the future, so you can prepare your home and your family. Once your family has already moved in, it is much harder to undergo a renovation, so plan in advance! Will you need to assist your parents in any way? If so, it may be beneficial to move their new in-law suite closer to your master bedroom. If not, it’s nice to afford your parents privacy by keeping their room farther away. Things like wheelchair or walker accessibility are common needs for aging parents. This requires wider doors and hallways, lowered countertops, ramps, or wheelchair accessible bathtubs. However, there are many other factors to consider with aging parents—such as eyesight loss, hearing loss, oxygen tanks, and a plethora of other medical needs. Be sure to do your research on what issues you could face in the future. To make a home ready for parents who are aging in place, you need to assess the current state of your home and make sure it is compatible with the space your parents will need. Check out our tips for designing a home renovation for your aging parents. Historic homes can mean smaller, more closed-off rooms. The consideration should be made for an open floor plan to allow for easier access. New builds may require expert craftsmanship to ensure the adjustments still match the look of your home. But overall, you need to assess that your home will provide enough space and comfort for yourself and your parents. Is a room or suite already readily available for your parents? Is your home conducive to an addition or renovation? Is there enough space? Do you have a space that can be converted into another bedroom or an in-law suite, such as a basement or extra bedroom? Is the living space of your home open and easily accessible to where your parents will be located? Can you receive the proper permitting, and will the county allow for your renovation? Updating your home to fit three generations of people is a major task that can cost a substantial amount. And while having your parents close is totally worth the cost, you’ll need to assess where the finances are coming from. Will you be paying for the renovation and in-law suite yourself? Wil financing for the remodel come from the sale of a parent’s home or from their savings? Will it be a mixture of both? Will you need financing to make the renovation possible? Figure out where the finances will originate and then calculate how much you can afford to spend. If you will be getting help from parents or siblings, make sure to get your agreement in writing. Even when it comes to family, it is always a smart plan to have a written agreement in place. Before moving your parents into the home, it’s important to understand every member of your household’s expectations. Having aging-in-place parents within your home is a great deal of responsibility. Make sure your spouse is on the same page and that your kids understand what having their grandparents at home will entail. Ask your parents about their specific expectations. Remember that they will often desire autonomy when it comes to cooking, bathing themselves, or having guests. This means specific adjustments to accommodate those needs. When everyone is on the same page, it makes the transition that much easier. Our Action Builders team is ready to answer all of your questions, and with an aging-in-place remodel, we know you have a lot of them. We want you to go into your remodel with confidence, knowing you have the perfect place for mom and dad. See our home remodeling services to get a better idea of how we can help transform your home. Or schedule a consultation with our team so we can help evaluate the possibilities of creating the perfect in-law suite remodel.